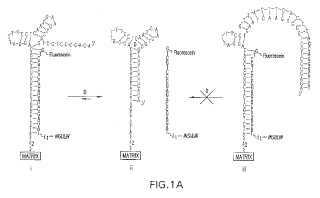 The present invention relates to aptamer/drug conjugate complexes and the use of such complexes, together with a trigger compound, to inducibly release a drug. Through these complexes, the present invention provides a means for establishing a drug reservoir in a subject, whereby drug may be released as needed. One specific embodiment of the invention provides an aptamer/insulin conjugate complex from which insulin may be released by an inoocuous, orally administrable trigger, such as quinine.